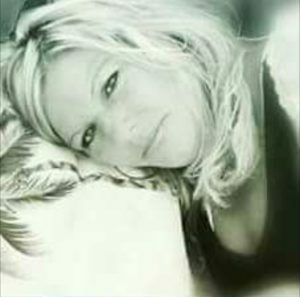 Lorraine Marie Truxell Mastaw, age 48, of Winder passed away Friday, January 18, 2019. Survivors include her husband Steven Mastaw father Robert “Bob” Rogers; sons Logan Mastaw and Zachary Mastaw; daughters Jessica Murdock and husband Shawn, Nichoel Peppers and husband Shane and Isabella Mastaw; brothers Mark Truxell and wife Colleen, Robert Rogers and wife Monica, Tim Thomas and Janet, John Rogers, Joe Rogers and wife Yvette; sisters Hope Callaway and husband Tim, Dawn Rogers and son Adam, Jerilynn Rogers and husband Jeff, Anna Benjamin and husband Ben; grandchildren Landon Chancey, Trentin Reist, Kerigan Murdock, Mason Peppers, Caleb Peppers, Seth Peppers, Dallas Peppers and Kaden Peppers and a host of other relatives. The family will have a Celebration of Life 6:00 pm Monday, January 21, 2019 at her residence. Lawson Funeral Home, 4532 Hwy 53, Hoschton, GA, 30548, www.lawsonfuneralhome.org, 706-654-0966. Heaven received a very special angel. Continued prayers for your family. I love you all.